Over the weekend, the European Film Awards, the International Documentary Association’s IDA Awards, and the British Independent Film Awards were presented, and now, of course, we have the Golden Globe nominations. 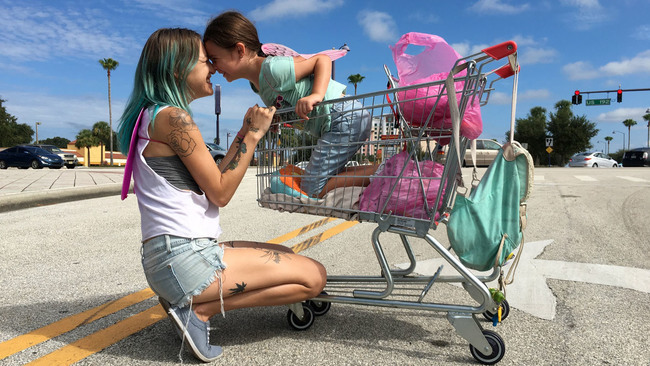 A good handful of critics’ organizations announced their picks for the best of 2017 this weekend, too, and we begin with three that have named Sean Baker’s The Florida Project Best Picture. The SFFCC’s Marlon Riggs Award “for courage and vision in the Bay Area film community” goes to Peter Bratt, producer, writer, and director of Dolores, “a powerful biography of the United Farmworkers’ co-founder Dolores Huerta.” And a Special Citation “for under-appreciated independent cinema” goes to Viktor Jakovleski’s Brimstone & Glory. The BSoFC also recognizes some of the best local film series, rediscoveries, and one retrospective, The Complete Jean Renoir at the Harvard Film Archive. Meantime, Robin Campillo’s BPM (Beats Per Minute), “France’s foreign-language Oscar candidate, is leading nominations at the Lumieres Awards, Gaul’s equivalent to the Golden Globes,” reports Variety’s Elsa Keslassy. Miriam Bale’s tweeted her top ten, and at #1 we find David Lynch and Mark Frost’s Twin Peaks: The Return. Graham Fuller lists twenty for Culture Trip, noting that, had he known it was eligible, he would have put Twin Peaks: The Return on his Sight & Sound ballot. As it is, Phantom Thread is his #1. Subscribers to the Wall Street Journal can read Joe Morgenstern’s comments on his list, but Year-End Lists has the titles for everyone. #1: The Shape of Water. Sophie Gilbert’s list of the “20 Best TV Shows of 2017” for the Atlantic is alphabetical. All Songs Considered hosts Bob Boilen and Robin Hilton are joined by Ann Powers and Stephen Thompson to discuss “The Year in Music 2017” (84’20”).